What an honor to be featured as the Professional of the Week in April 2017. Being a subscriber to the InBusiness Ezine edition, I’ve seen some pretty incredible and talented people featured as the Professional of the Week over the years. So to be included with this group of people is an absolute honor. 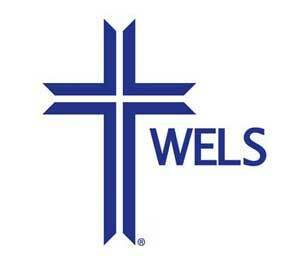 This follows up an article featured last year in the online version of InBusiness Madison Magazine. 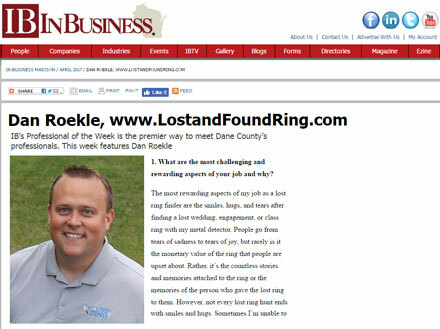 The article highlighted our time as the only Madison area Professional Ring Finder, how we got started and what our mission is for the business. I’m impressed that InBusiness magazine features both the largest employers in the Madison area together with the smallest. The Professional of the Week feature was so much fun to be a part of. The questions I was asked about being a Ring Finder were great and really got me thinking. My favorite was being able to answer “Who do you look up to or admire in business and why?”. My answer was my dad, who was the owner and operator of Dyer’s Shoes on State Street in Madison, WI. I spent a lot of time as a child in his store, watching him work. Like I mentioned in the article, I learned that running a business isn’t easy and requires a ton of hard work and dedication, something that both my parents instilled in me and I now try to instill in my own two kids. My hope is that through this publicity, more and more people learn that there such a thing as a Professional Ring Finder. I hear so many stories about people losing rings years ago when they find out that I’m a Ring Finder. “Oh, I wish I would have known you 10 years ago” is something I hear a lot. So, do me a favor and Like our Lost and Found Ring FaceBook page and share it with your friends!